12 Apr 2018 / 14:28 H.
Six police also died and nine intelligence officers were wounded in the attack on the Khwaja Omari district headquarters in the southeastern province of Ghazni, provincial governor spokesman Aref Noori told AFP. 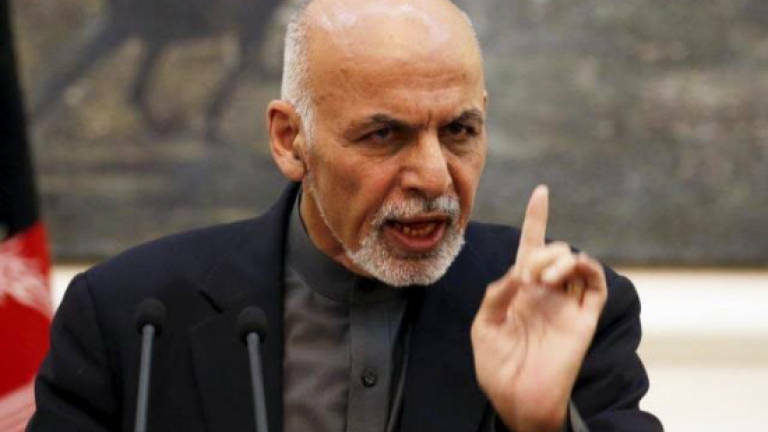 "The attack is over and the district is under the control of Afghan security forces after reinforcement forces rushed to the scene following the Taliban attack," Mohsini added. The Taliban claimed responsibility for the raid on a WhatsApp message to journalists, saying "more than 20 police" were killed and several others wounded. "Our mujahideen have confiscated weapons and ammunition," Taliban spokesman Zabihullah Mujahid said. "In the attack, three mujahideen were martyred and four others were wounded." The Taliban is under pressure to take up President Ashraf Ghani's offer of peace talks but so far the group has not responded directly to the proposal. The militants had vowed to take revenge over last week's Afghan airstrike in an area controlled by the group in the northern province of Kunduz.